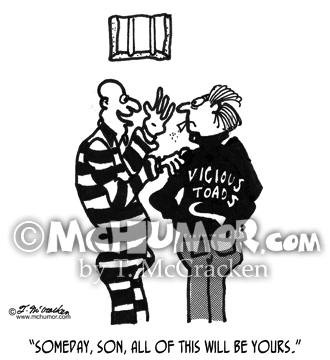 Cat Cartoon 5677: A cat using a can of spray paint. 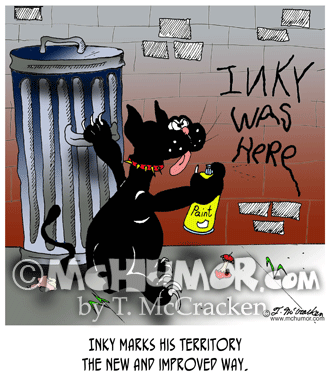 "Inky marks his territory the new and improved high tech way." 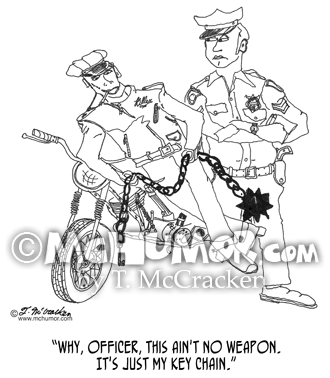 Gang Cartoon 0019: A gang member with a huge chain with a little key on the end says to a policeman, "Why, officer, this ain't no weapon. 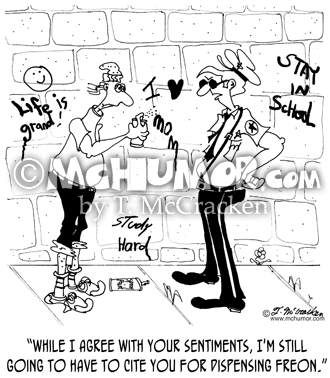 It's just my key chain." 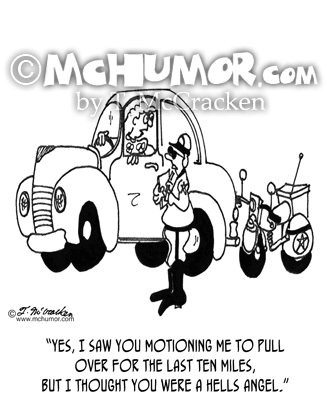 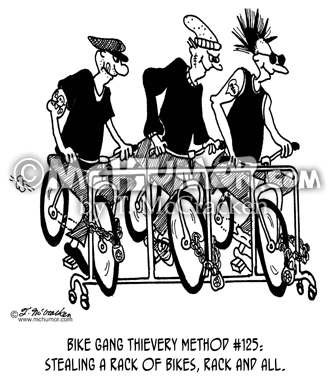 Police Cartoon 6202: A woman says to a highway patrolman on a motorcycle, "Yes, I saw you motioning me to pull over for the last ten miles, but I thought you were a Hells Angel." 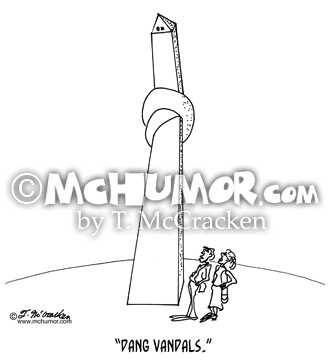 Vandal Cartoon 1425: A man looking at the Washington Monument is tied in a knot says, "Dang vandals."